Award shows make you wait until the end of the night to find out the winner of the Big Awards, but we don’t do that here at Movie Churches. We’re going to tell you in the second paragraph the winner of The Golden Steeple of 2016 for the Best Depiction of Churches/Clergy/Faith in a Nominee for the Oscar for Best Motion Picture. 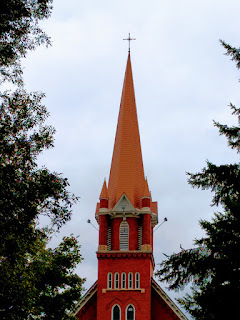 This is the first year of the award, which honors the most attractive depiction of a Movie Church. 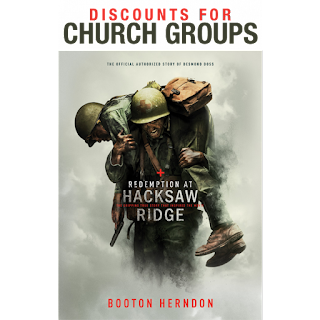 And the winner is… Hacksaw Ridge! Now that you know who won, perhaps you’d like to hear about all the nominees (which just so happen to be the same films nominated this year for the Best Picture Oscar). 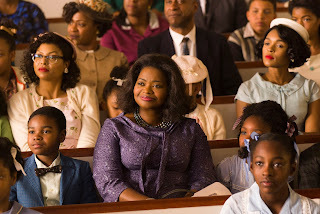 Hidden Figures would probably be first runner up for the Golden Steeple. It’s another historical story; in this case, it’s about the African American women who played a crucial but previously unheralded role in the space race of the early 1960s. There are a couple of scenes in what seems to be a Methodist church which the women mathematicians attend. The pastor of the church is quite supportive of the civil rights movements from the pulpit, lauding the accomplishments of his congregants. Big bonus: the church is depicted as a great matchmaking location. No mention of the Golden Steeple nomination? Fences, based on the classic August Wilson play about troubled domestic life, also has a strong church presence. Hollywood is much more comfortable with churches in historical dramas. 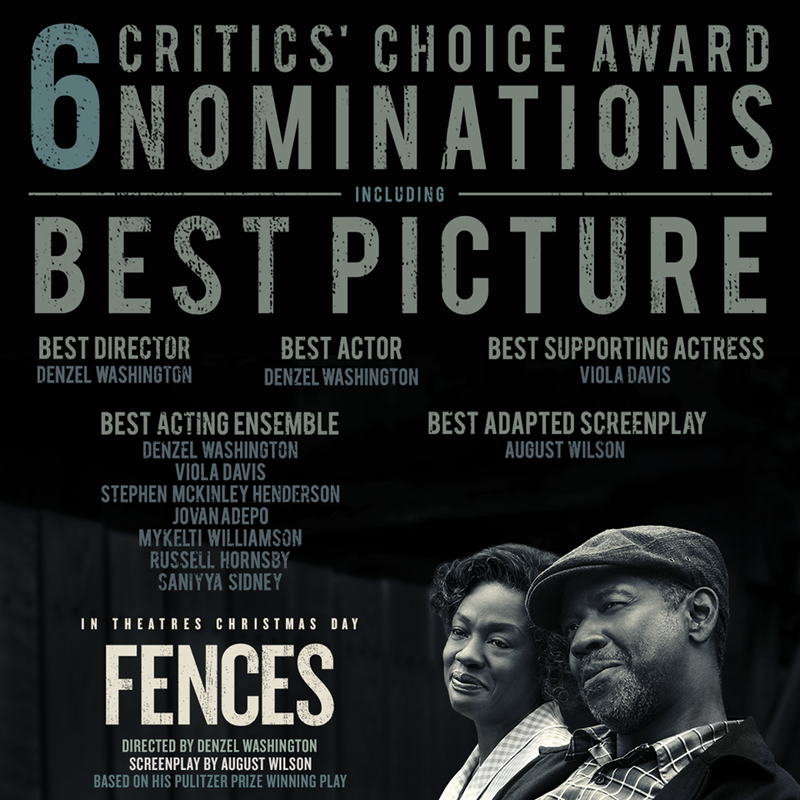 Churches are also much more likely to be shown in a positive light when the film deals with African American characters. Rose (Viola Davis), the wife and mother in the film, finds strength and comfort in her local church. Her husband, Troy (Denzel Washington), speaks reverently of Scripture but implies that pastors are money grubbing. The film also has a pious, almost saccharin, religious ending. Moonlight also has an African American character that speaks well of the church and Scripture. Unfortunately that character, Juan (portrayed by Mahershala Ali), is also a drug dealer. In this coming of age story about Chiron, a bullied boy growing up gay, his friendship with Juan and Juan’s girlfriend provide him with rare glimpses of kindness and compassion. 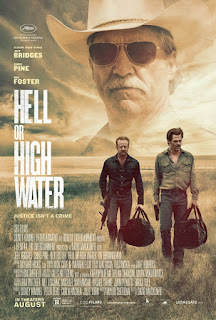 Hell and High Water, a story of brothers who rob banks to pay the mortgage, doesn’t have any scenes in churches, but we see the exteriors of churches often in the small towns where the story takes place. The two Texas Rangers pursuing the brothers discuss their faith, and the Native American Ranger surprises the Ranger played by Jeff Bridges with his orthodox Christian faith. Arrival, the story of the reaction of nations to alien visitors from space, has a single reference to a church. The scientists attempting to communicate with the aliens hear a news story about the demise of hundreds in a “church” that is actually a suicidal cult. Manchester by the Sea has an interesting and mixed take on churches. 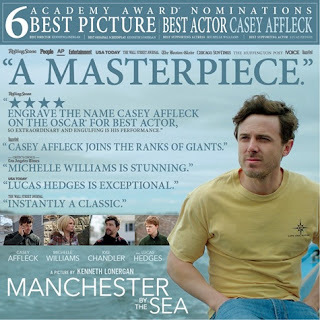 Lee (Casey Affleck), the emotionally tortured protagonist in the film, explains to his nephew Patrick that as Catholics, they’re Christians just as much as Patrick’s newly “born again” mother. The Catholic Church is where ceremonies take place -- weddings and funerals. However, the Church seems to provide no spiritual comfort for Lee. And -- as often happens in current films -- it goes without saying that the Born Again Evangelical Christians (Matthew Broderick and Gretchen Mol) are judgmental jerks. Though Matt’s home is decorated with Christian bookstore knickknacks, he has no problem with “living in sin” with Gretchen. And finally, La La Land, the probable winner of the Oscar for Best Picture, has no Movie Churches at all. The story of an actress and a jazz musician seeking stardom doesn’t seem to have any interest in spiritual things. As some have commented, the movie does seem to capture contemporary Hollywood’s values of placing personal fulfillment and fame over even romantic love (let alone God’s love). Thanks for great insights. I agree on hacksaw Ridge. it had a real reverence there. I think the first date trope was a cinephile error by Mel and scripters. But being a cinephile i forgive them. But mel as usual errs in thinking we need an exact appropriation of battlefield terrors and horrors.